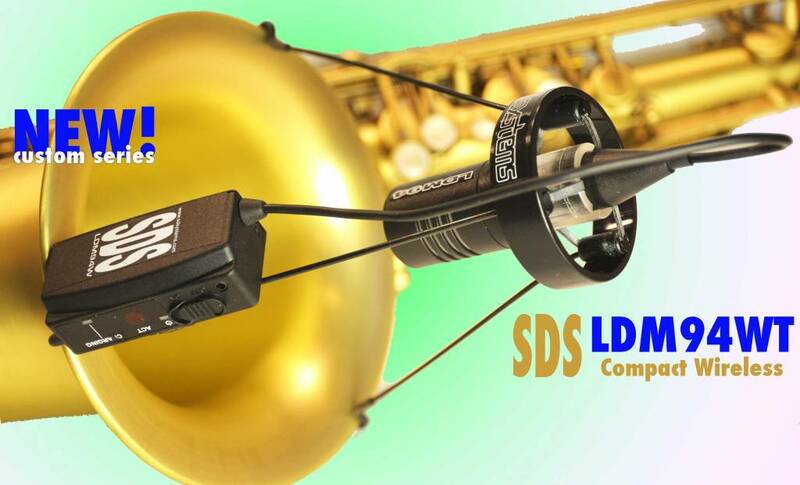 LDM94 Dynamic Compact Wireless HQ with Tripod ("Satellite") clamp, now available in the SDS Custom Series! Is available now. 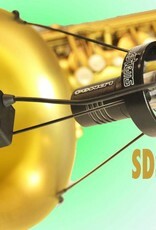 High quality and easy to use because of the very light weight and compact HQ transmitter incorporated in the SDS clamp. 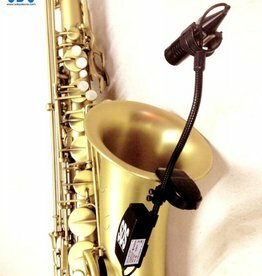 It’s delivered including our Dynamic High Power mic and suitable for Saxophones. Now you are total cable free, you can easily program on 8 frequencies for 8 different players. 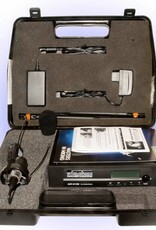 Frequencies can be synced with advanced infrared technology. 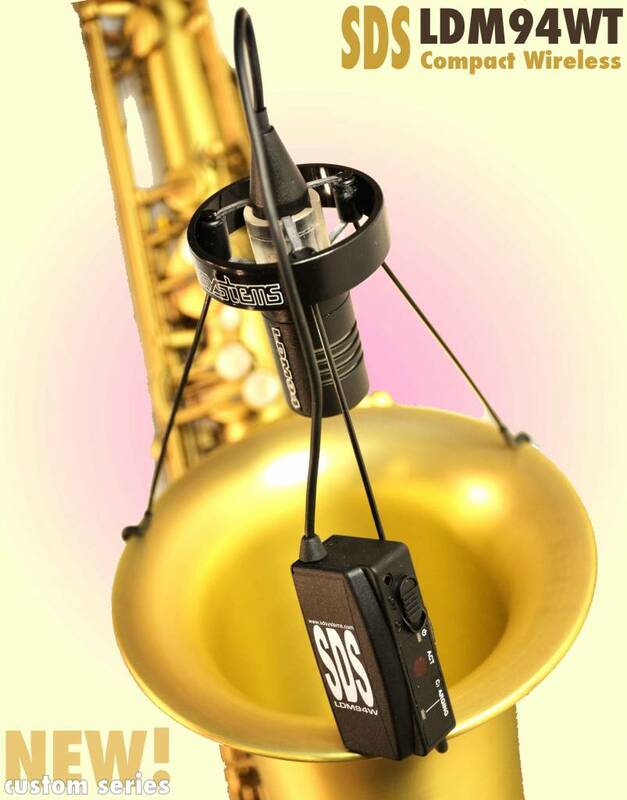 The compact lithium battery can handle 6 hours performance. Easy programmable & compact receiver. The 515 series receiver has a dual-tuner true-diversity circuitry and delivers professional performance worldwide. It has a metal chassis and dual-color, backlit LCD displays and is easy & intuitive to program. 80 preset channels in the 24 MHz band (507~528 MHz). 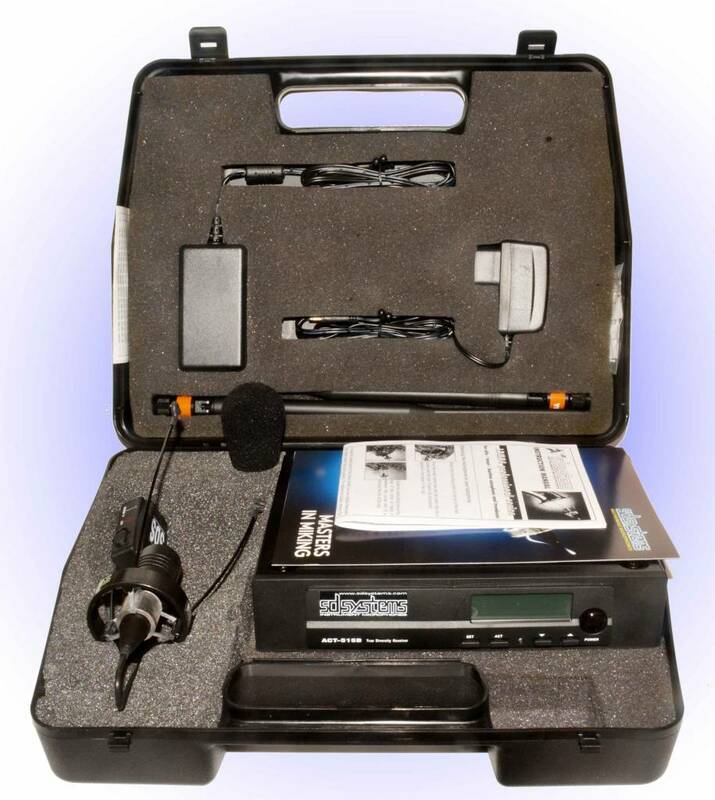 8 user-defined, auto-scanned, interference free channels can be saved for 8 musicians on stage with frequencies, allowed in the USA as well as in most European countries. 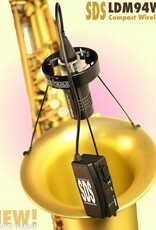 No cables to your belt, easy to clip on the instrument and change instruments using one mike. Very stable attachment, mic position can't move!